Downloading and managing installation media is not fun. Whether it is development, test or lab environment, dozens of ISO images, patches, updates and language packs have to be downloaded prior to setting up Windows, SQL or SharePoint environment. Sometimes, it might be up to fifty files to move around! 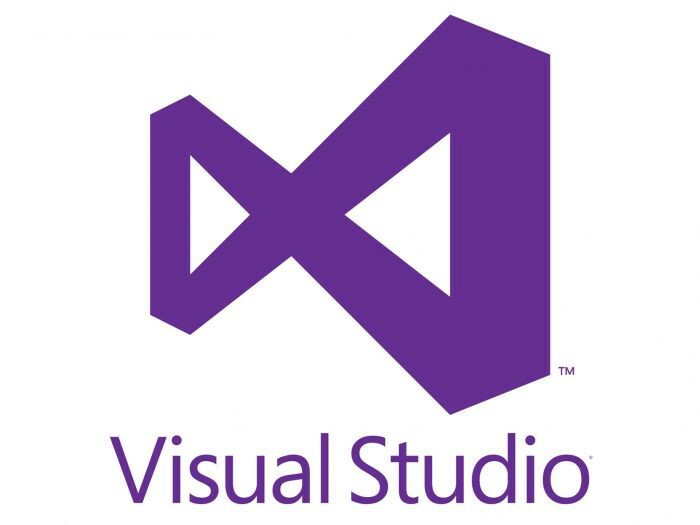 Visual Studio is one of the tools to be installed for development, test or lab environments. Versions prior 2017 come as ISO images, so they are easy to work with. Visual Studio 2017 works differently: it comes with a special bootstrapper to download needed packages and create offline installations, so additional work to automate this process is required. 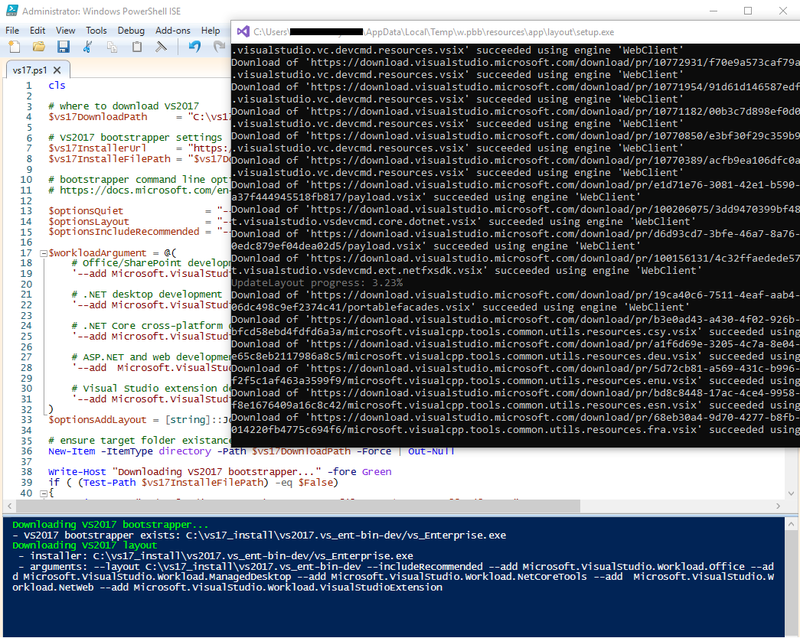 This post shows how to create an offline installation for Visual Studio 2017 with pure PowerShell script, and how we automated it with ready-to-use InvokeUplift PowerShell module so you can use it straight away! pwsh works super-cool under Windows 2008 -> 2016, MacOS and Linux! InvokeUplift comes with a command line interface, JSON driven configurations, built-in checksum validation and a few more nice features. Being written in PowerShell 6, it works on Windows and MacOS platforms. Visual Studio 2017 works differently: it comes with a special bootstrapper to download needed packages and create offline installations if needed. Depending on the target workload, such as .NET development, Azure, NodeJS and others, the bootstrapper download needed modules. Average install size might take between 5–9 Gb, and the full install is around 35 Gb! Therefore, for local scenarios, creating offline installation might make sense. That’s it! One line and all the heavy lifting of downloading and preparing the layout is done for you. By default, the uplift module downloads Visual Studio with the most common development components. It should cover most of the development scenarios, but we can always craft a custom JSON definition for different Visual Studio layouts. In the case of Visual Studio 2017, the downloaded structure contains both raw layout folder with thousands of files and a zip package under /latest folder. ZIP package is easier to move around, for example into Azure/AWS cloud, to a virtual machine, Vagrant/Packer boxes and other shares. Initially, files are downloaded into the/download-staging folder. If checksum passes, then the file is moved into the /latest folder. Such downloading workflow prevents badly downloaded files corrupting the current “latest”. Only checksum validated files can go into the/latest folder. A few notable parameters while downloading files: -debug, -force and -repository, and the full list of them and other resources can be found our previous post — Easy installation media download for busy SharePoint engineers. If you find this useful, drop us a line or give feedback on the GitHub, feel free to share feedback and improvements in the comments, follow us here or on Twitter and feel free to share this post too.